Make light work of the most taxing mechanical pressing tasks with Baumr-AG Hydraulic Presses, exclusively offered online by Edisons. A must-have for any mechanical worker, these lean mean machines are powerful enough for professional use but compact enough for home-based workshops. Available in variants of 20T and 10T hydraulic bottle jacks providing continuous pressing force, Baumr-AG Hydraulic Shop Presses will remove and install bearings, rods, gears, bushings, ball joints and much more with unrivaled ease. Baumr-AG Hydraulic Presses are engineered with a high strength powder-coated steel H-frame construction, ensuring maximum durability and work life. 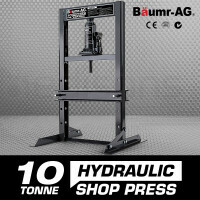 The dual ram return tension springs and adjustable working tables with multiple height positions round up the many features that make the Baumr-AG Hydraulic Press one of the best in the market. Complete all your hardware and mechanical needs with dependable Concrete Saws, Table Tile Saws, Band Saws, Scroll Saws, Metal Cut-Off Saws, Mitre Saws, Circular Saws, Jigsaws, Rebar Cutters, Laser Levels and Tool Sets, all available online at Edisons. 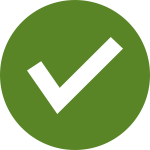 All Baumr-AG Hydraulic Presses are backed by an assuring 12-month domestic warranty and a 3-month warranty for commercial use. Edisons guarantees fast and easy delivery anywhere, whether you’re in Sydney or the Outback. 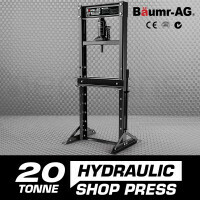 Crush those tricky, time consuming jobs quickly and easily - buy a Baumr-AG Hydraulic Press today!